We had some leftover cherries we didn't have time to finish, so I threw them in the freezer. I also had some chocolate I wanted to use up, but didn't want to eat plain. (What's wrong with me?) And with this weather, what's not to like about ice cream? One of my favorites is Cherry Garcia, so I thought I'd try making some. 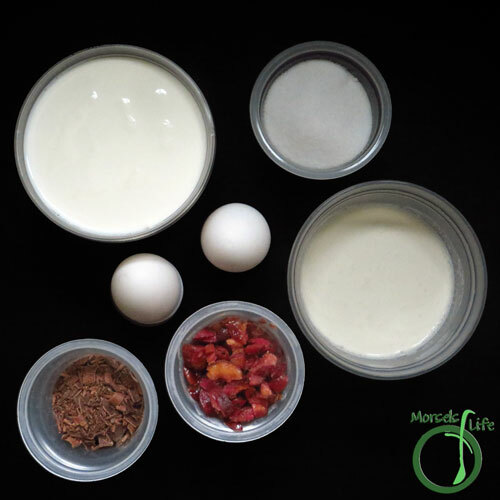 Initially, I wasn't sure if I wanted to use raw eggs for the thick, creamy feel, but I decided I'd go for it. 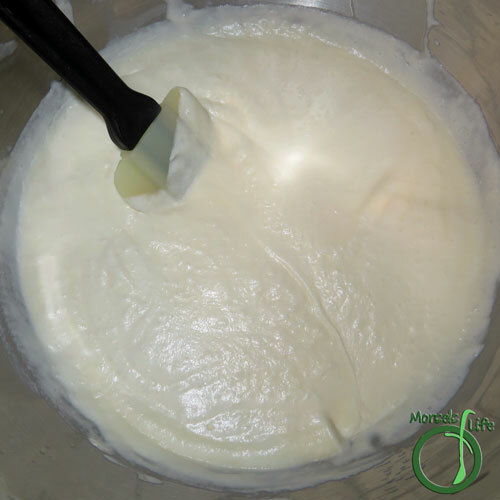 If you're concerned about raw eggs, you could also make a custard first or use a pasteurized egg product. I'm thinking I'll try making the custard first next time so I can compare the two. 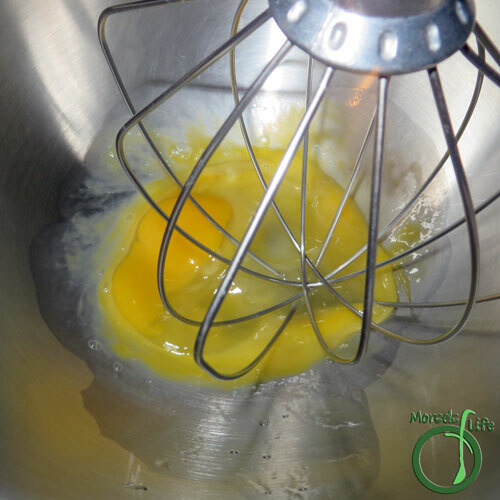 Do you prefer making a custard first or just using raw eggs? 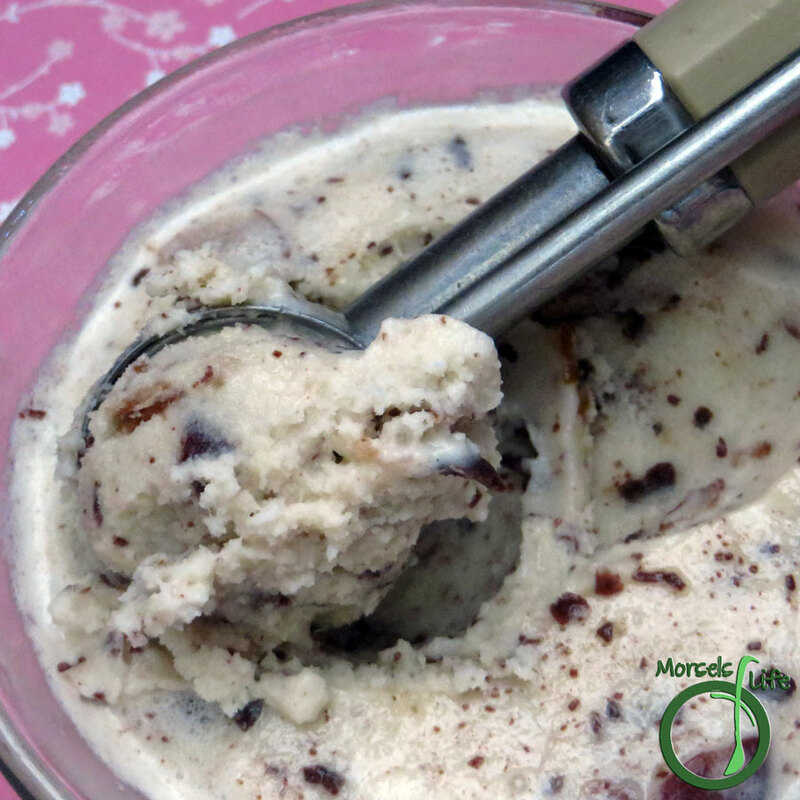 A rich, creamy ice cream churned together with cherries and dark chocolate shavings. Almost like Ben and Jerry's Cherry Garcia! 2. Beat eggs until fluffy. 3. 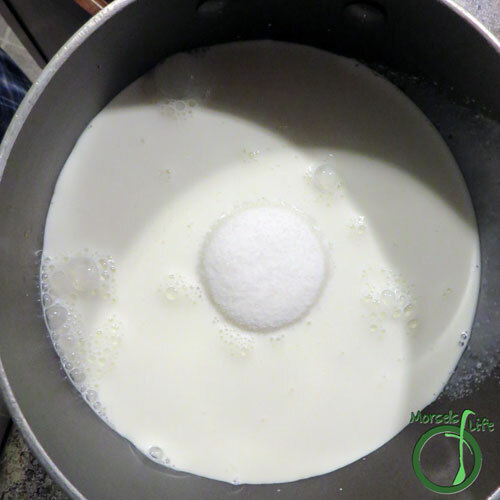 Dissolve sugar in half and half. 4. Gently combine eggs, whipped cream, and half and half. 5. 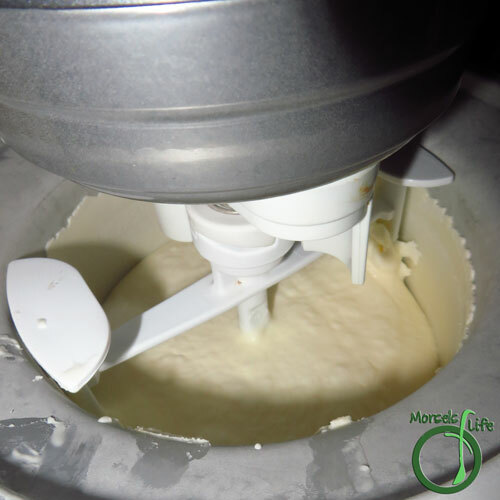 Place mixture into ice cream freezer. 6. 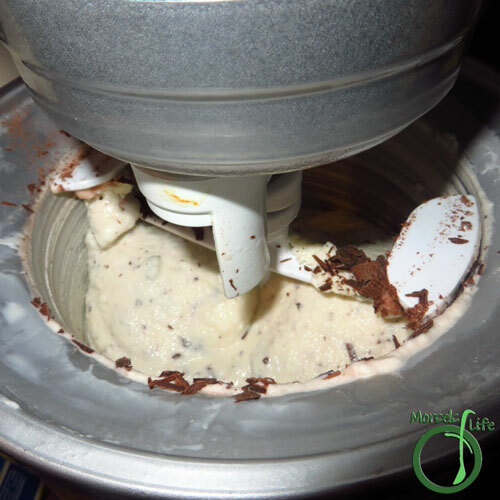 Add chocolate shavings and cherries when ice cream has mostly frozen. Yum! I could go for a big bowl right now! I am interested to hear what you think of the cooked custard version. My mom is the ice cream maker in our family and her base uses raw eggs too. It is very good but I wonder if the cooked version would be similar. I'll let you know if I try it with a cooked custard! 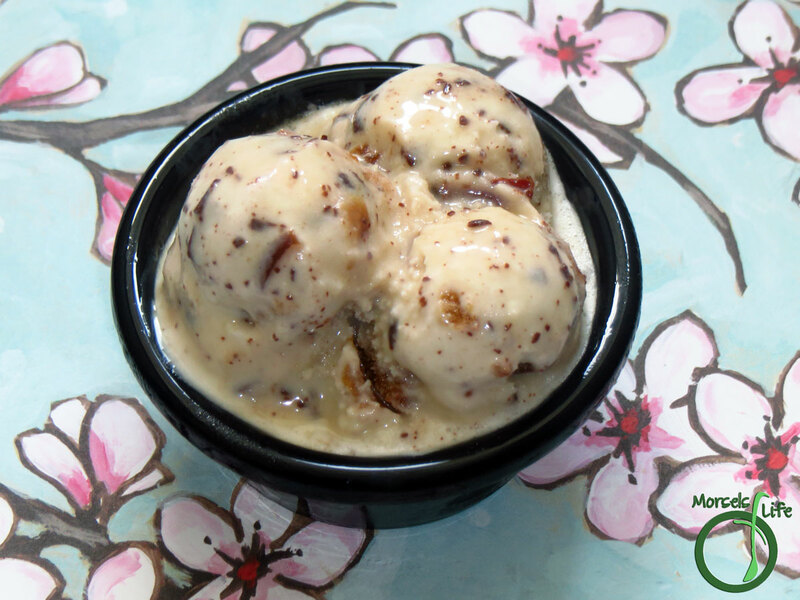 I'm really tempted to make another ice cream with all this hot and humid weather. :) Let me know if you get a chance to try it as well! Ie cream is one of my favorite after dinner snacks. This sounds awesome. Thanks for sharing at #WonderfulWednesday! Have a great week. Ice cream's the best, especially in this hot weather. :) Hope you enjoy! Yum!! 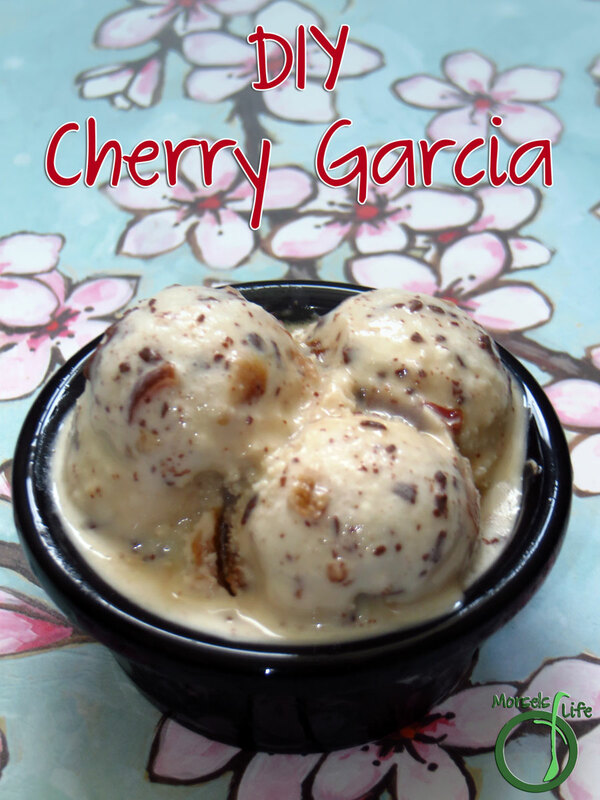 It wouldn't have dawned on me to make my own Cherry Garica ice cream, but you make it look so easy. Thanks for posting it on the #WasteLessWednesday blog hop! Lovin this ice cream! Thanks for linkin' up with What's Cooking Wednesday! Ooh tasty! Thanks for linking up at #SustainableSundays! oh yum!! I love cherry garcia! Thanks for sharing on the What's for Dinner Link up!